it's really a DUMB movie if u want to know the truth, but people who are into fantasy movies might like it. some characters spoke in language that is not English hence wished the subtitles were in English ! Very good, although I would have loved to see more of Thor's companions be with him. Good ending though!!! This is no longer the behind the scenes special. It is now the movie. Decent copy. Very watchable. Only bad thing is you can't understand what the dark elves are saying as the subtitles are not english. this is not the movie but a discussion on the movie. This link is for a special on the Film it self, not the film intresting for those that wish to know more about the story befor see the Film. I really would like to watch this movie but that I find the audio very difficult to hear clearly or at all well enough and the visual seems odd or distorted too. I never get more than a couple of minutes in as I am unable to connect, but hope a better version will be available some time into the future. I wish the quality was better but very good movie. 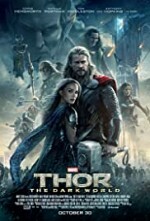 7/10, I would like to know how Thor's brother came to dethrone his father. This film is incomplete.. Only runs for 1 hr 34 mins when actual film runs for about 2 hrs.. Please can complete viewing be uploaded? Hi, i've watch this movie in the teather. Its a really nice movie, but i dont understand the whole video, its difficult to understand it But nice movie!